We all know how smitten I am with the holidays. From the coziness to the decorating, every single aspect of the holiday season gives me all the happy feels. Sprucing our home during this time of year is one of my very favorite things to do. There's nothing quite like decking the halls with Christmas cheer. It has taken me several years to build up my Christmas décor collection. I have acquired it slowly, and each piece has a little memory attached to it. From the décor we purchased during our first married Christmas to the keepsake ornaments we find from our travels. 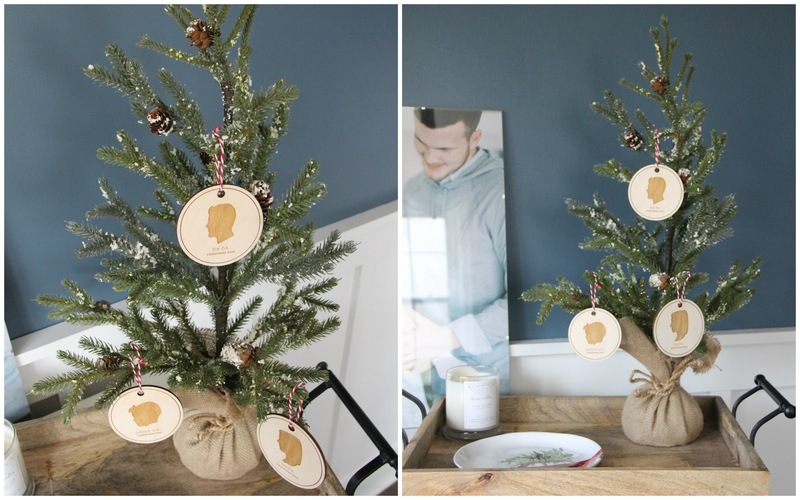 Every holiday season we find an ornament to add to our tree that best represents our year. This year I found the most perfect ornaments to commemorate the last 12 months as a family of three. What better ornament than custom silhouettes that capture the 'way we were' in 2016? Postmark Studios makes the most beautiful pieces using the silhouettes of your loved ones. And there's no denying how sweet and precious a babe's tiny profile is. I can't get over Greer's sweet little nose and that bow. The gals at Postmark Studios absolutely nailed our profiles. Working with Jordan and Lindsey was an absolute pleasure, and the process was so simple and well-explained. We simply snapped photos of ourselves on my phone, sent them in, and the girls worked their magic. I am beyond pleased with how the ornaments turned out, and we will cherish them always. I know that years from now when I look at them it will be such a sweet reminder of 2016 and my itty bitty Greer. Now to spread a little holiday cheer with a GIVEAWAY! 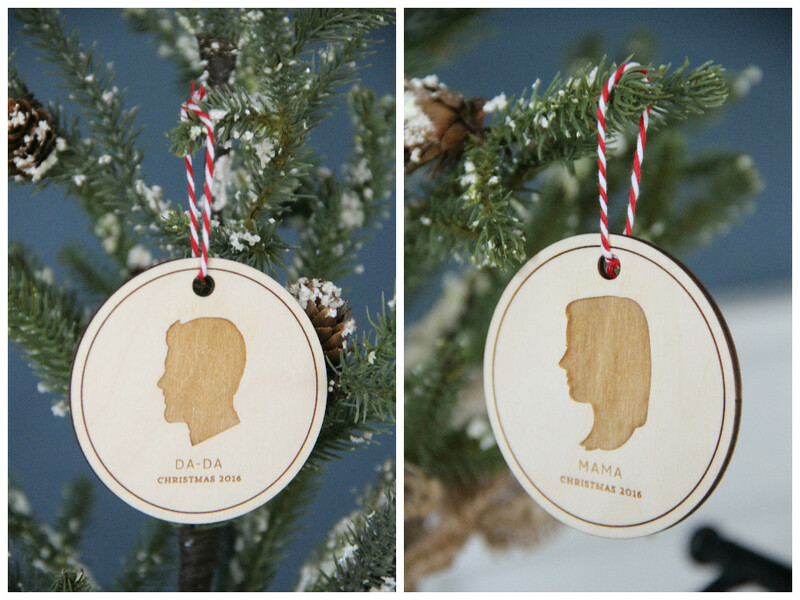 The gals at Postmark Studios are giving away a set of two custom silhouette ornaments to one lucky person. The giveaway is running now through midnight on Sunday, December 4th. A winner will randomly be selected and announced early next week. Use the code HILL25 for 25% off of your purchase for the next week! A huge thank you to Postmark Studios for making and providing our beautiful keepsake ornaments for 2016. They couldn't be more perfect!